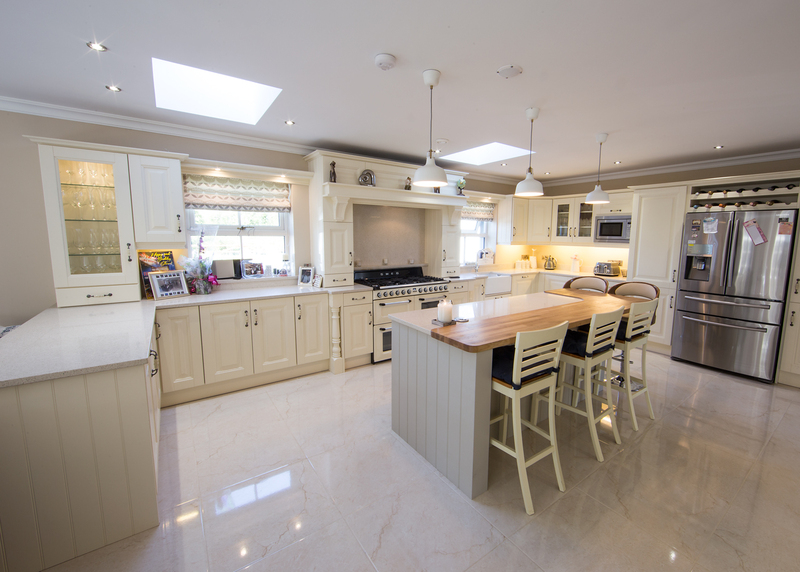 A beautiful, traditional kitchen design for a home in Co Meath. The clients wanted an elegant kitchen space for their home and with the expertise of the team at Ornan Kitchens, they got exactly that. Ornan Kitchens & Wardrobes are a leading bespoke kitchen and wardrobe manufacturer established in Meath 2002, with a wide range of styles available to view in their brand new showrooms. Ornan have kitchens to suit every style and budget. In this beautiful lodge that was once part of the Clevedon Court Estate every care has been taken to compliment the features that were and are existing in this pretty kitchen.